The Fair Debt Collection Practices Act went into effect in 1977. The act sought to end the abusive tactics that debt collectors employed to try to scare people into paying their bad debts. While the act did a lot to stop harassment from debt collectors and give consumers a way to fight back, there are still a lot of debt collectors who think the old way is still the best way. They might employ tactics that are right on the edge of being legal while trying to shame or scare consumers into coughing up the money. 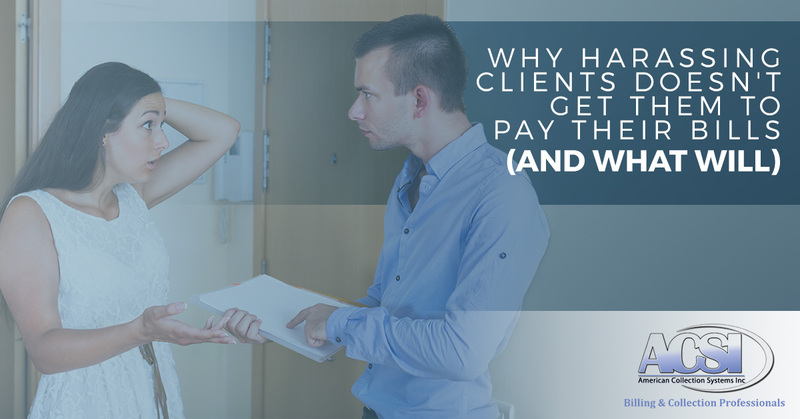 These black-hat practices hardly ever work, especially today, but there are a number of things you can do to get clients to pay without putting those abusive practices in play. It ruins your business’s reputation. When word gets around that your business treated someone poorly, that’s going to reflect badly on you. It doesn’t matter that the person owed you money or that it was the collection agency who was actually treated them poorly; your business is the one who will take the heat. People may become reluctant to work with you in the future when they see the means you’ll employ to collect on a little bad debt. People are naturally predisposed to rooting for the little guy, and in this case, it’s the bad debtor who is the underdog and is going to get the sympathy. It makes the clients resentful. Harassing someone with repeated phone calls and threats are going to work like reverse psychology on their mind: it’s going to make them even less likely to pay. That’s because they’ll become resentful towards your company and the way they are being treated and decide that your company simply doesn’t deserve the money, no matter how much they might owe you. They might even develop a sense of pride about not making the payments and leaving you in the lurch. When that’s the case, you aren’t appealing to their sense of what’s right anymore; you are battling their pride, and that’s a lot harder to fight. It opens you up to lawsuits. If you use tactics that are forbidden in the Fair Debt Collection Practices Act, then you could be opening yourself up to a lawsuit. Consumers who can prove they are being harassed by someone about their bad debt could actually end up making money off of the situation instead of paying money out. There are thousands of these cases in the court system every year and they are often settled for more than the original debt was worth. It’s a quick way for a company to lose a lot of money. ACSI has been hard at work in the debt collecting business since 1999. During the past almost 20 years, we’ve learned a lot about how to work with consumers in the way that makes them most likely to pay up on their bad debts. What we’ve learned is this: having an open, honest conversation about the debt and having a sincere discussion to find a solution works almost every time. Our goal isn’t to make a commission off of someone else’s problems. Instead, our goal is to help the consumer pay off this bad debt in a way that works for them so they can get this burden off of their plate and then they can move on with their lives. Accept all forms of payment. This is an easy thing to do on your end that can help consumers pay their bills. 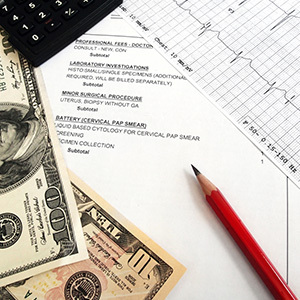 Your company should accept cash, credit, and online payments whenever possible. It’s a lot harder for a consumer to pay their bill when you only accept personal checks (it still happens! ), so they are more likely to chose not to pay because it’s simply too difficult. Accepting all forms of payment will make it easy to get the money from them. Follow up early and often. A lot of businesses send a bill at the beginning of the year and never send a follow-up request when the payment isn’t made. Then they act surprised when they haven’t been paid the following December. We can guarantee that the consumer forgot about that bill back in February. People have a lot going on in their lives and the best way to get a payment from them is to keep reminding them about it. Don’t let it go months (or even weeks!) without sending them a reminder. In most cases, eventually, they will pay. Be prepared to write some of the debt off. Some debt just is not going to get paid. The consumer might leave town and change their contact information or decide they don’t care about their credit and refuse to pay the bill. It happens all the time, and there will come a point when attempting to collect the debt will become more expensive than the debt is actually worth. Know how far you are willing to go for repayment and when you are ready to simply write it off. What’s the Very Best Thing to Do When Attempting to Collect Bad Debts? Hire an experienced team to do it for you. The truth is you got into your business because you wanted to do that job; you didn’t want to be a debt collector. Debt collection can be a full-time job and distract you from the other things you could be doing to build up your business. So instead of distracting yourself with bad debt, turn it over to our collections agency in Wyoming. With almost 20 years of experience, we know how to work with consumers so they have a positive experience in getting their bad debts repaid. We never employ tactics that are illegal and we work hard to safeguard the reputation of your company. We don’t pay our collectors on commission, so they can give their attention to cases of every size equally. We also have our own legal department to ensure that all rules are being followed and to offer advice to our team when needed. If you are seeing unpaid debts pile up in your books, it’s time to call our collections agency for help. We’ll take over those accounts and help you get the money you are owed. You can learn more about how we can help and how we work to get repayments by getting in touch with us. You can give us a call or contact us through our website to learn more.